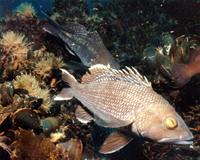 The Ocean City Reef Foundation is a nonprofit organization that was created in 1997 when the Maryland Department of Natural Resources decided to terminate the state of Maryland's Reef Program. 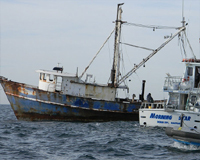 The foundation is a membership driven organization that is committed to the enhancement of our local marine habitat through the creation and monitoring of artificial reef systems. 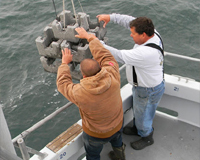 These artificial reefs are manmade objects that are strategically placed on the ocean floor to create marine habitat. Growth on these objects begins almost immediately. They become encrusted with mussels and coral, which serve as a food source and shelter for a wide variety of marine life. 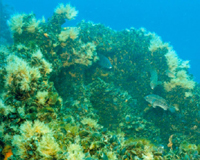 It is the goal of the Reef Foundation to enhance and preserve our local aquatic ecosystem to ensure that future generations of recreational fishermen and divers will also be able to enjoy these beautiful natural resources we call reefs. 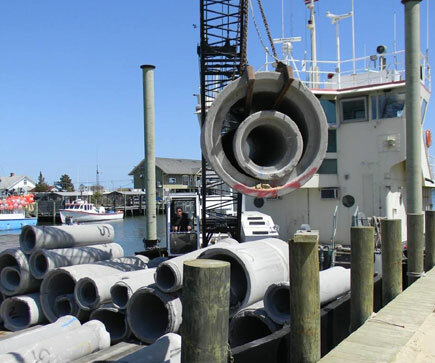 The Ocean City Reef Foundation depends on its annual donations and generous contributions to continue placing structures offshore of Ocean City, Maryland. The creation of this much needed habitat will guarantee a plentiful fishery for years to come. Copyright ©2017- All rights Reserved.